Below you fill find all funeral homes and cemeteries in or near Truth or Consequences. Suburbs of Truth or Consequences: Cuchillo, T Or C, Truth Consq. Truth or Consequences is also known as: Sierra County / Truth or Consequences city. Zip codes in the city: 87901. Sierra County funeral flowers can be purchased from one of the local funeral shops we partner with. Some of the notable people born here have been: (marty martin (wyoming politician)). 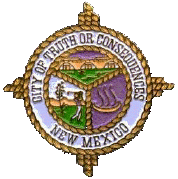 Truth or Consequences is a spa city and the county seat of Sierra County, New Mexico, United States. In 2012, the population was 6,411. It is commonly known within New Mexico as T or C. It has frequently been noted on lists of unusual place names.Originally named Hot Springs, the city changed its name to Truth or Consequences, the title of a popular NBC Radio program. In 1950, Ralph Edwards, the host of the radio quiz show Truth or Consequences, announced that he would air the program from the first town that renamed itself after the show; Hot Springs won the honor. Edwards visited the town during the first weekend of May for the next 50 years. This event was called "Fiesta" and included a beauty contest, a parade, and a stage show. The city still celebrates Fiesta each year during the first weekend of May. The parade generally features area celebrities such as the Hatch Chile Queen. Fiesta also features a dance in Ralph Edwards Park. It was noted on February 4th, 2018 that Steven A Thompson died in Truth or Consequences, New Mexico. Thompson was 70 years old and was born in Puymmup, WA. Send flowers to share your condolences and honor Steven A's life. It was revealed on August 8th, 2017 that Nanacy Blackstar (Cook) died in Truth Or Consequences, New Mexico. Ms. Blackstar was 64 years old. Send flowers to express your sorrow and honor Nanacy's life. It was disclosed on April 13th, 2017 that Beverly Hart (Snavely) perished in Truth or Consequences, New Mexico. Send flowers to express your sympathy and honor Beverly's life. It was reported by The Rio Grande Sun on July 7th, 2016 that Fred A Quintana passed on in Truth or Consequences, New Mexico. Quintana was 87 years old. Send flowers to express your sorrow and honor Fred A's life. It was reported by Waterloo/Cedar Falls Courier on November 3rd, 2015 that Arlynn "Curt" Curtis died in Waterloo, Iowa. Curtis was 75 years old and was born in Truth Or Consequences, NM. Send flowers to express your sympathy and honor Arlynn "Curt"'s life. It was written on March 26th, 2015 that Evelyn Marie Wilson (Gleich) died in Truth or Consequences, New Mexico. Ms. Wilson was 82 years old and was born in Bismarck, ND. Send flowers to express your sorrow and honor Evelyn Marie's life. It was written on February 1st, 2015 that Harold Lee Oswalt perished in Truth Or Consequences, New Mexico. Oswalt was 72 years old. Send flowers to share your condolences and honor Harold Lee's life. It was noted by The Chronicle on January 2nd, 2013 that William Dr Benton perished in Centralia, Washington. Benton was 78 years old and was born in Truth Or Consequences, NM. Send flowers to express your sorrow and honor William Dr's life. It was revealed on August 10th, 2012 that John G Wark passed away in Truth Or Consequences, New Mexico. Wark was 65 years old and was born in Logan, UT. Send flowers to express your sorrow and honor John G's life. It was written on July 22nd, 2012 that Charles Wayne Meurer perished in Truth Or Consequences, New Mexico. Meurer was 80 years old and was born in Mertzon, TX. Send flowers to express your sympathy and honor Charles Wayne's life. As of the 2000 United States Census census, the population was 7,289. 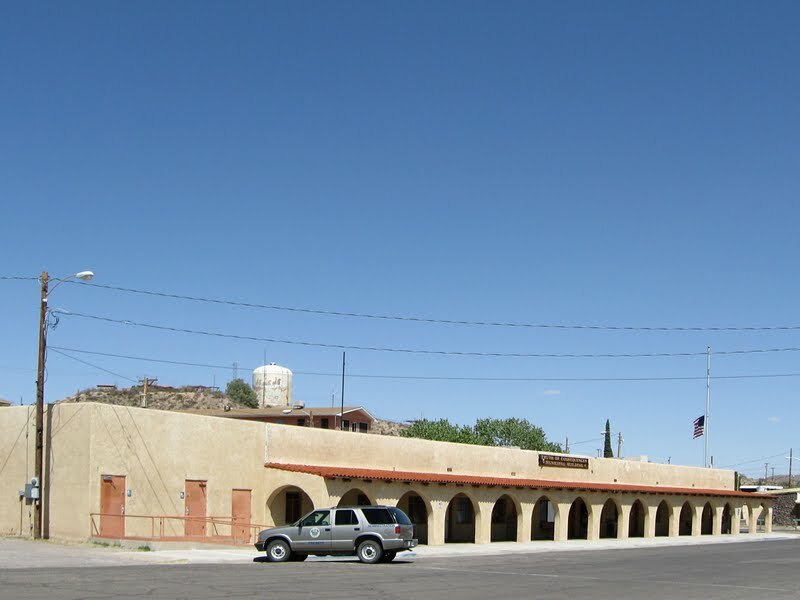 Truth or Consequences is a spa town city in and the county seat of Sierra County, New Mexico County, New Mexico, United States. It is commonly known within New Mexico as T or C. . . The official website for the city of Truth or Consequences is http://torcnm.org/. New Mexico's Spaceport America dedicates "spaceway"
ALBUQUERQUE, N.M. -- A recent Target 7 investigation uncovered dumped mail from Doug Vaughan and his now defunct realty company in a Truth or Consequences ... Vaughan of running a Ponzi scheme in New Mexico that bilked more than 600 investors. TRUTH OR CONSEQUENCES, N.M. -- New Mexico state police are seeking help identifying a set of skeletal remains that were found in the desert in April. On April 6, human skeletal remains were discovered in the desert north of Truth or Consequences. Harry Teague and Steve Pearce both made their fortunes in the state's oil and gas industry, but they differ on the future of energy Editor's Note: SolveClimate News political reporter Elizabeth McGowan traveled to New Mexico to cover the 2010 elections there. Listing all funeral homes in Truth Or Consequences, New Mexico so you can easily send flowers to any location (same day delivery) or find any funeral service. We work with local florists and flower shops to offer same day delivery. You will find budget sympathy flowers in Truth or Consequences here. Our funeral flowers are cheap in price but not in value.